A device that one collector says is an "engineering prototype" of Apple's first-generation iPhone has sold on auction site eBay for $1,500, one of a handful of similar preproduction iPhones to surface in recent years. The "very rare original iPhone engineering prototype", listed by Australia-based eBay user applefancollector is shown running an early version of Apple's iOS designed to test the phone's hardware functions. 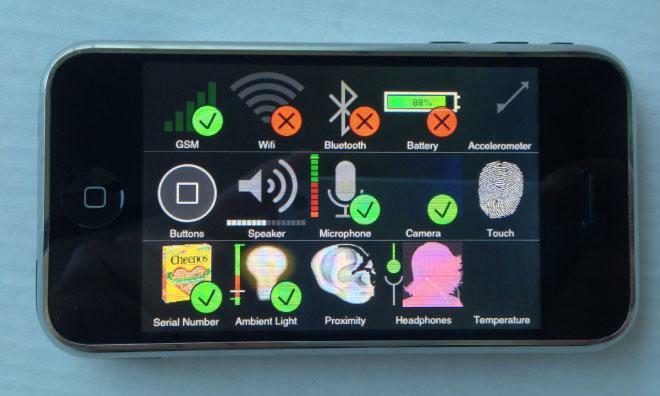 The same operating system, which features tests for the iPhone's radios, touch sensors, display and batter, among others, has been spotted on similar devices in the past. In addition to the special software, each radio's signal bands are etched into the device's rear housing. Bluetooth, Wi-Fi, and each of the original iPhone's four supported GSM bands are accounted for. 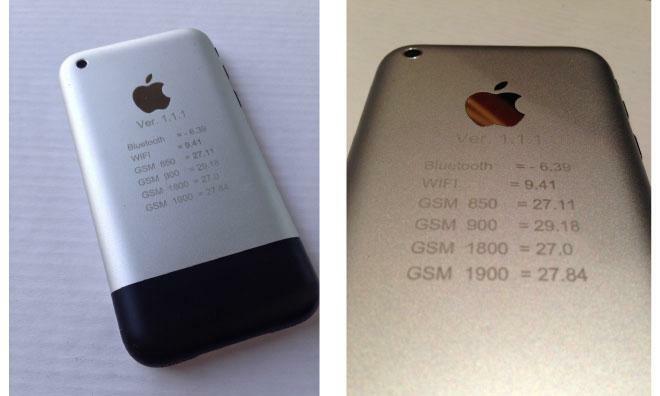 Alongside the signal bands, the handset is etched with a label denoting it as "Ver 1.1.1." It is unknown whether that version number refers to the test operating system or to the hardware itself. The first-generation iPhone shipped with iPhone OS 1.0, known by the internal Apple codename "Alpine." According to the seller, the "device itself is in near mint condition, apart from a very tiny mark in the back" and "it passes all [technical] tests perfectly." The phone's provenance is not revealed. Prototype iPhone parts are not uncommon on sites like eBay, with enclosures for the then-unannounced iPhone 5c going up for auction in August. 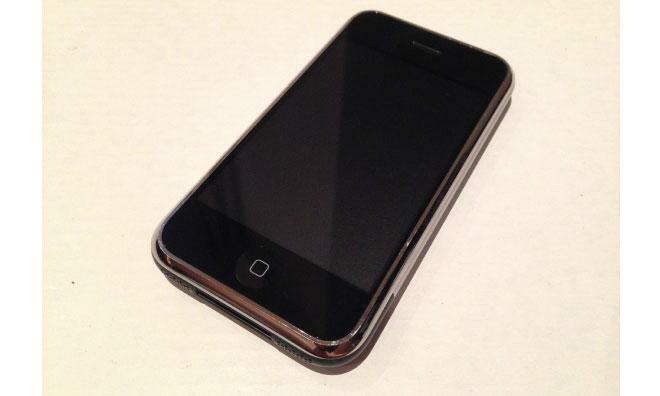 Fully functioning iPhone prototypes are less common, though an operational pre-release iPhone 4 was listed for sale in 2011. Such auctions are typically pulled from eBay, presumably at the request of Apple, which does not want pre-release hardware being made available to the public. That didn't happen with this latest auction, however, as the purported early iPhone hardware went through to sale.